Joe SYKES – Actor: Stage. Film. Voice. The Hero’s Wife is an intimate look at the disturbing and heart-breaking effects of war and PTSD, told from a wife’s point of view. Karyssa (Rebeca Robles) tries to connect with her newly returned Navy SEAL husband, Cameron (Joe Sykes). Most of his life has been classified. What’s left, he won’t talk about. While he works to rebuild his world, his secrets and violent night terrors threaten Karyssa and their fragile life together. Theirs is a nuanced story, told with wit, sweetness, audacity and an unflinching clarity—a portrait of two people struggling to come home from war. The Hero’s Wife by Aline Lathrop is presented by Synchronicity Theatre, Atlanta, in a Joint World Premiere with 16th Street Theater, Chicago. Directed by Rachel May. April 12—May 5. Preview April 11. In a recent interview, Joe talks about the play, the impact it’s had on his life, and joint work Synchronicity is doing with United Military Care to open up more conversations about life after deployment for veterans and their families. Why does this explosive production need both a fight choreographer and an intimacy choreographer? Can a play about PTSD be funny too? Read the interview. Based on a novella by Thomas deQuincey (Confessions of an Opium Eater) and fueled by visions of ’60s gialli, Those Who Deserve to Die, directed by Bret Wood, is a thriller that subverts the formula of the revenge film. Unhinged and unconventional, it turns on a series of vicious murders—precise, ghastly. Yet the killer is reluctant. The ghost of a vengeful 10-year-old girl guides the killer, and she will not be denied. This violent and nihilistic thriller is not for the faint hearted. World Premiere: May 5 at the Dundead film festival, Dundee Scotland. 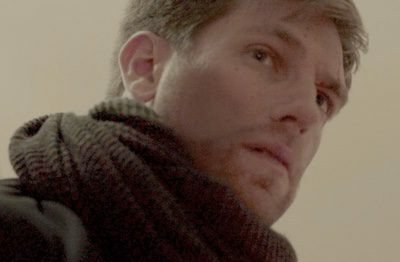 Coming in 2019… Joe Sykes as Jonathan in Bret Wood’s Those Who Deserve To Die Filming wasn’t easy. Read what Joe and director Bret Wood have to say about risk taking on set. Joe Sykes is fresh off a new cutting-edge ensemble play by Steve Yockey—Reykjavik at Actor’s Express. Audiences were shocked, disoriented, and beautifully touched. Outstanding! Winner Suzi Bass Awards: Outstanding Acting Ensemble! Outstanding Director! Outstanding Production! Angels in America at Actor’s Expresss! The award-winning cast: Robert Bryan Davis (left), Carolyn Cook, Grant Chapman, Parris Sarter, Louis Greggory, Cara Mantella, Joe Sykes and Thandiwe Deshazor. Directors: Freddie Ashley and Martin Damien Wilkins. Photo by Ashley Earles-Bennett. Read more about this production. “One of Joe’s greatest strengths is his versatility. He attacks with equal skill very masculine alpha characters along with more sensitive and vulnerable characters. His range never ceases to surprise me.” — Freddie Ashley, artistic director, Actor’s Express. Versatile. Oh yeah. Joe has pingponged from edgy, unsettling dramas like Wolves and Bengal Tiger at the Baghdad Zoo to the family musical Winnie-the-Pooh. In film, Joe vaulted from farce in Good Grief Suicide Hotline to lethal menace in Those Who Deserve to Die. He famously sacrificed vital body parts in the cult horror favorite V/H/S (Amateur Night) and later seduced a much-loved character in the popular BET televison series Being Mary Jane. There’s a humanity about Joe that can’t be faked. He’s comfortable with the unsettling ambiguities of life. When audiences see parts of themselves in the bigot Karl in Clybourne Park or look to Death for comfort in Steve Yockey’s disturbing play Pluto, that’s Joe. That’s Joe making it ok for us to look into the raw, damaged places. Maybe it’s even funny. Joe can do that. Of course, if he’s playing a psychopath, it’s unnerving. Read Joe’s bio.